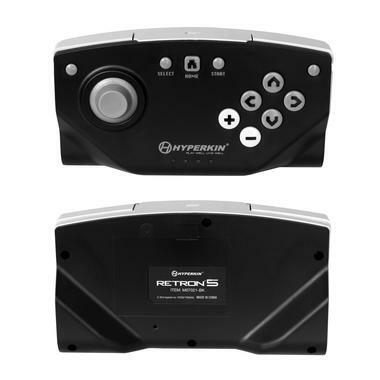 Additional controller for the Hyperkin RetroN 5. 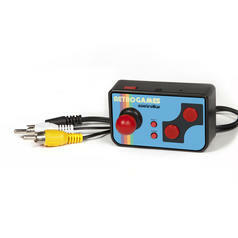 This controller is equal to the one you'll get together with the Hyperkin RetroN 5. As well as the analog stick and the six usual buttons on the top; start and select, it has a home button which brings you to the menu and two shoulder buttons. In addition, there're two mappable macro buttons. The controller gets charged with the enclosed cable via a micro USB directly at the console. AtenciÃ³n: No apto para niÃ±os menores de 36 meses. Hyperkin RetroN 5 This multi-console unites 9 retro consoles from Game Boy to SNES and lets you play all your favourite games on a large screen.